4 course tasting menu for the lunch & 6 course tasting menu for the dinner. Wine pairing proposed including Champagne for the dinner. All alcohol need to be pre ordered before the departure as the law prevent us from selling alcohol aboard the bus. Capacity of 38 people for each service. Personalized departures and arrivals. We can come to the doors of your premises or your building, to make the surprise complete! 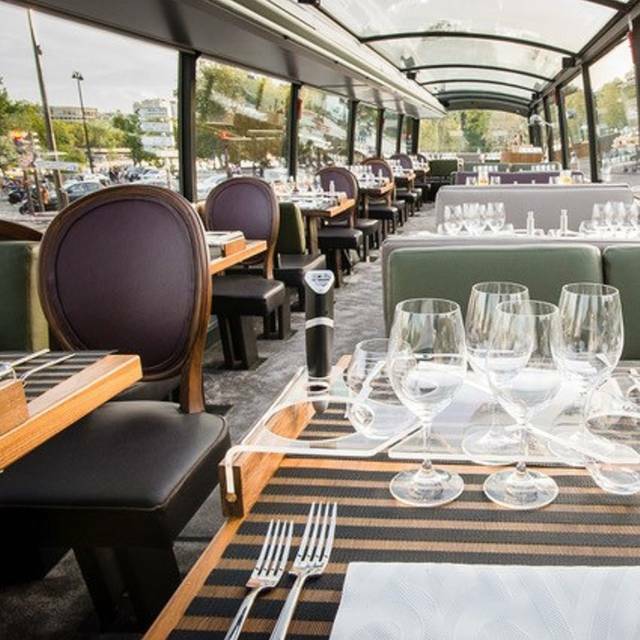 A new innovative concept in London, an unusual gourmet way to discover the city, its architecture and its cuisine. 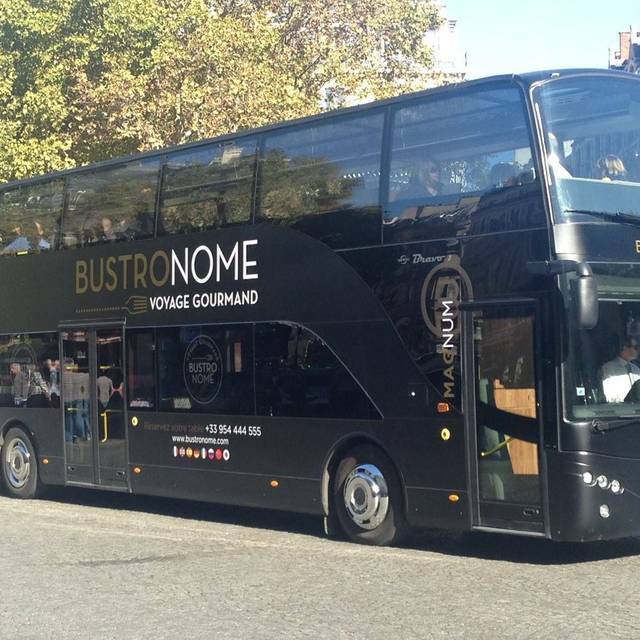 After its successful excellence certified gastronomic tour of Paris, the Bustronome is now in London. 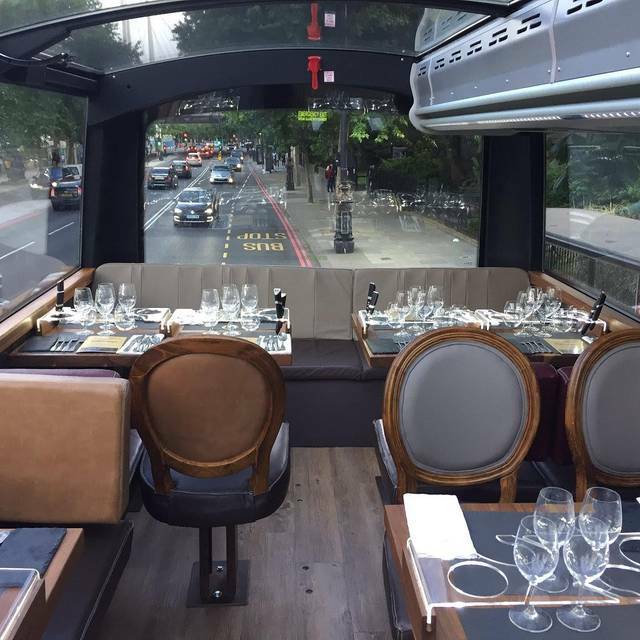 Our high end double decker bus has been built for the purpose of combining a great culinary moment with a wonderful sightseeing experience. 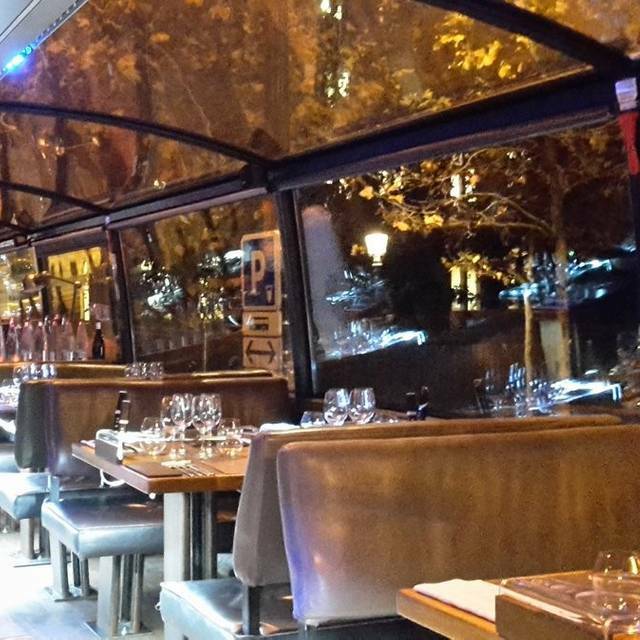 As such one can embrace most of the surroundings through the panoramic glass roof of the dining room located on the upper deck. 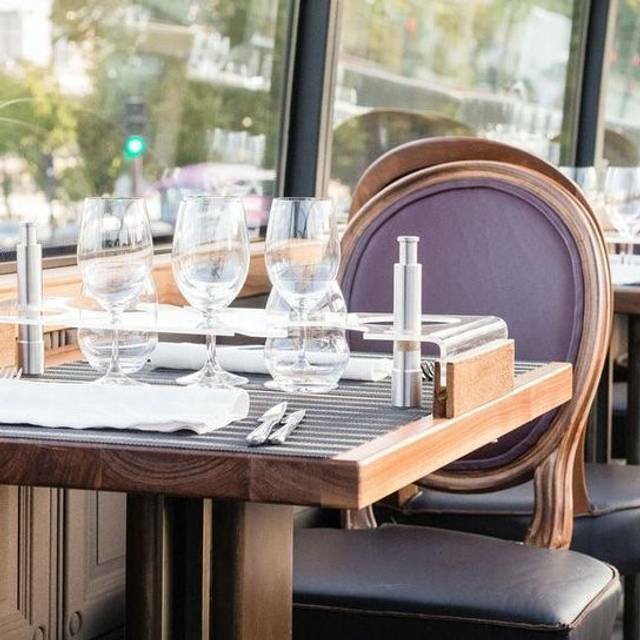 The Bustronome invite you all to rediscover some of the City of Light's most beautiful locations while enjoying fine France cuisine inspired by the best of the English recipes and fresh local products. 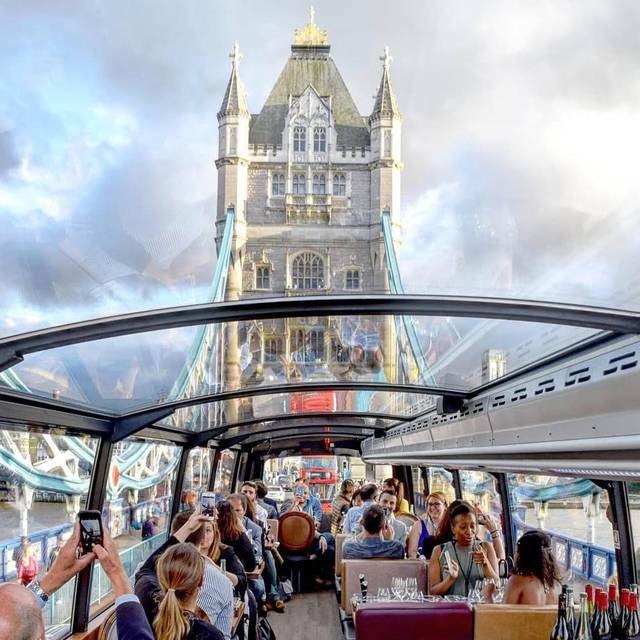 This singular journey combines a visual experience with a treat for the taste buds; London residents and visitors alike can indulge their love of culture while savouring good food. Guests will enjoy a friendly welcome and a wide variety of dishes in a fashionable setting. 6 course Tasting menu with optional wine pairing £105, £135 & 150 Please visit site for details. Amazing food, great atmosphere, unique experience! My partner booked this as a surprise for me and when I saw the bus pull up i was not sure what to expect. The bus is amazing, so romantically lit, well equipped, perfectly air conditioned and even though it was raining I was amazed that the windows didn’t steam up which did not affect us seeing all the sights. As a Londoner, I thought I had seen it all, but it is a different perspective and it was particularly beautiful at night. The staff on the bus are just lovely, very smart, and amazing how they serve us in motion, I have to say I forgot I was on a bus it was so well driven. The food was great, not Michelin star, but everything we had was very tasty and beautifully presented, and the wine pairings were great. There was a really lovely atmosphere, nice background music, and there is an audio guide for the major sites also which we didn’t use but great for visitors to our city. 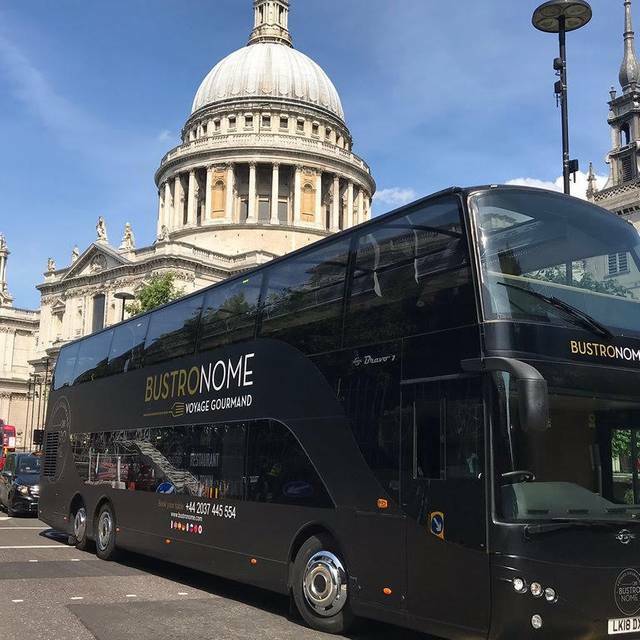 Thank you Bustronome, next stop Paris! 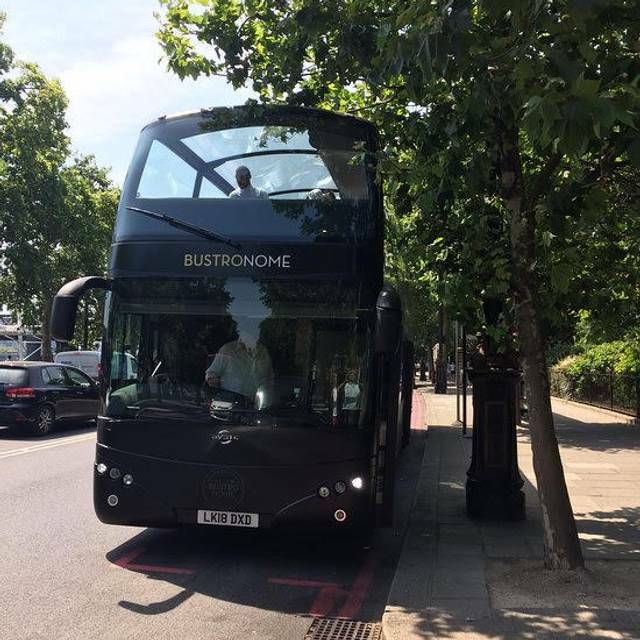 We didn't know what to expect when we booked Bustronome but the whole experience went way above anything we expected. Clever concept, nice food and service, and a nice way to see London too. 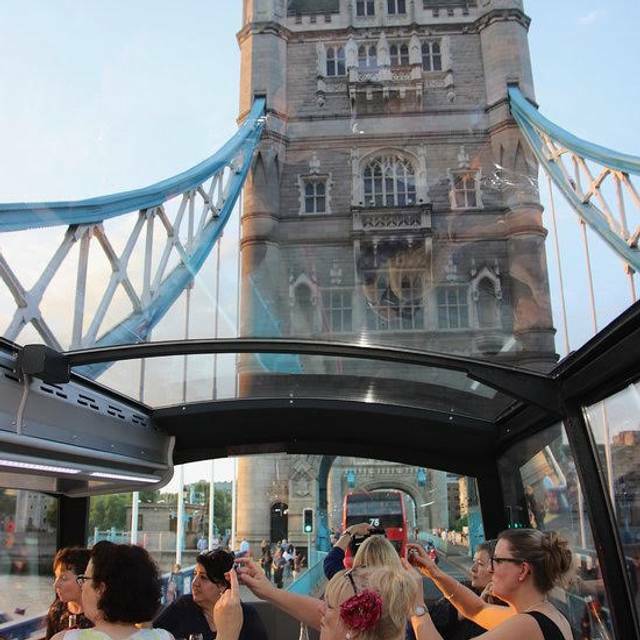 We left very happy, and we all agreed it is something to do again with friends and families when they visit London or, to impress overseas clients. I highly recommend it. I went for a special evening with some good friends, and we had a GREAT time!! We were very welcomed at the door, shown our amazing table at the back of the bus with a fantastic view and then handed a glass a champagne! How could things be better than that?! Service was very good, food very pleasant and beautifully served (there was even some flowers! Attention to details). I wasn’t convinced at first by the idea eating in a bus in motion (being car sick) but I was really impressed. We barely felt the bus moving and the experience was really nice. A really really nice concept and would highly recommend! !